Actor Vivek Oberoi has lashed out at Bollywood for not supporting the controversial PM Narendra Modi biopic in which he stars as the Prime Minister. Actress Kangana Ranaut had made a lot of noise during and after the release of her film Manikarnika: The Queen of Jhansi, saying that her Bollywood 'friends' had not come out in support of her film even though it had been appreciated by audiences and critics. Now, in the wake of controversy around his film PM Narendra Modi, actor Vivek Oberoi has lashed out at his Bollywood counterparts for being silent. Actor Vivek Oberoi has been quoted by a website as saying that it's easy to take selfies with the Prime Minister, (which Bollywood celebrities have been doing a dime a dozen with Narendra Modi, and the one with Karan Johar and group), but that these celebrities should instead come out and support a film made on the PM of India. ''It's easy to post selfies with Prime Minister and stuff like that. As an industry, we need to stand together. Around 600 artistes right now are saying that BJP shouldn't come back; let's all get together. I respect that, they have all rights to do that,'' said Vivek. "But all these people who are otherwise so vocal on everything - nobody came out in support of our film. This is happening to our film and they're trying to ban our film. Not one word, not one tweet. That, to me, is not fair. That is not being honest to their own principle. That is a double standard,'' he said. 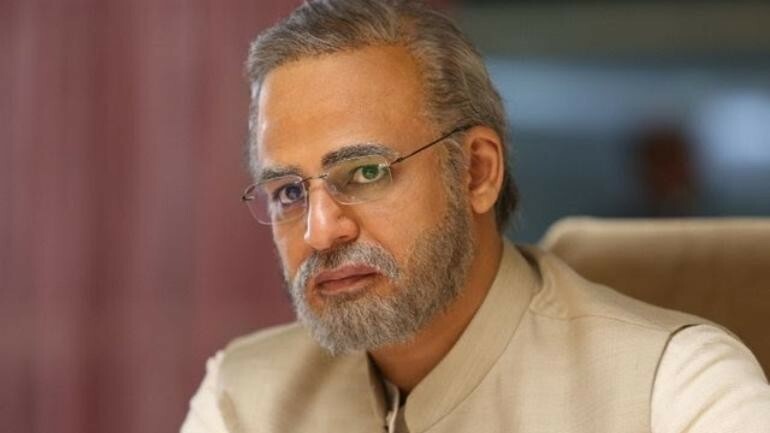 Vivek is taking a dig at his co-actors and filmmakers for not supporting the controversial PM Narendra Modi biopic in which he stars as the Prime Minister. An Indian National Congress personnel had filed a plea against the release of the film, calling it 'propaganda' being showcased ahead of the Lok Sabha Elections 2019. But the Supreme Court of India quashed the plea and cleared it for release, saying that it had been certified by the Central Board of Film Certification (CBFC). PM Narendra Modi the film was slated to release on April 11, 2019, and the makers were happy that it had been postponed only a week from its Arpil 5 release date. But the Election Commission of India (ECI) passed an order staying the release of the film until the general elections 2019 are over, keeping in mind the Moral Code of Conduct. The film's producers Ssandeep Singh, Suresh Oberoi, Anand Pandit and Acharya Manish have appealed to the Supreme Court of India against the stay on its release by the EC. ALSO READ: Darshan Kumaar: PM Narendra Modi biopic is not a propaganda film [Interview]. Vivek Oberoi also said that Bollywood, as an industry, did not voice its opinion when a film fell into controversy, whether it is Padmaavat, Manikarnika, My Name is Khan, Udta Punjab, or the PM Narendra Modi film. ''I feel, we are not a united industry. I feel when Padmaavat gets stuck and a legend like Sanjay Leela Bhansali is mistreated and misbehaved with, we should all unite together," he said. ''I feel if My Name Is Khan gets stuck, we should come together to make sure it doesn't get stuck," Vivek added. He also sounded optimistic that the PM Narendra Modi film will see the light of day after the Lok Sabha Elections 2019. "Anurag Kashyap, who was fighting for the release of Udta Punjab during the Punjab elections, got it released later. And I am happy. That is the sign of democracy,'' he said.